90g. Also available in 40g. 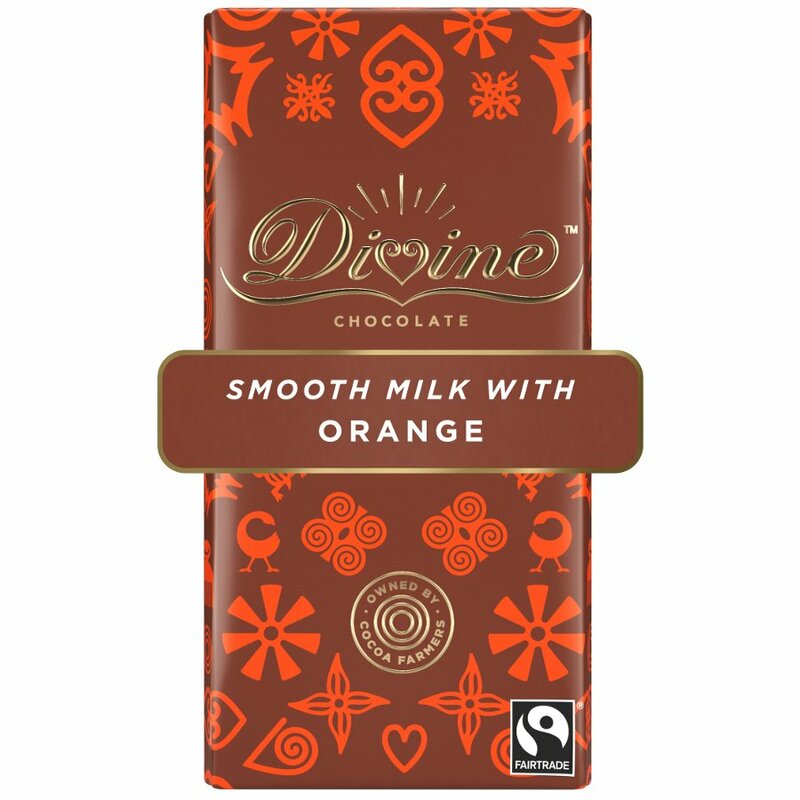 Fairtrade sugar, Fairtrade cocoa butter, dried cream, whole milk powder, Fairtrade cocoa mass, emulsifier: sunflower lecithin, natural orange flavour, Fairtrade vanilla. 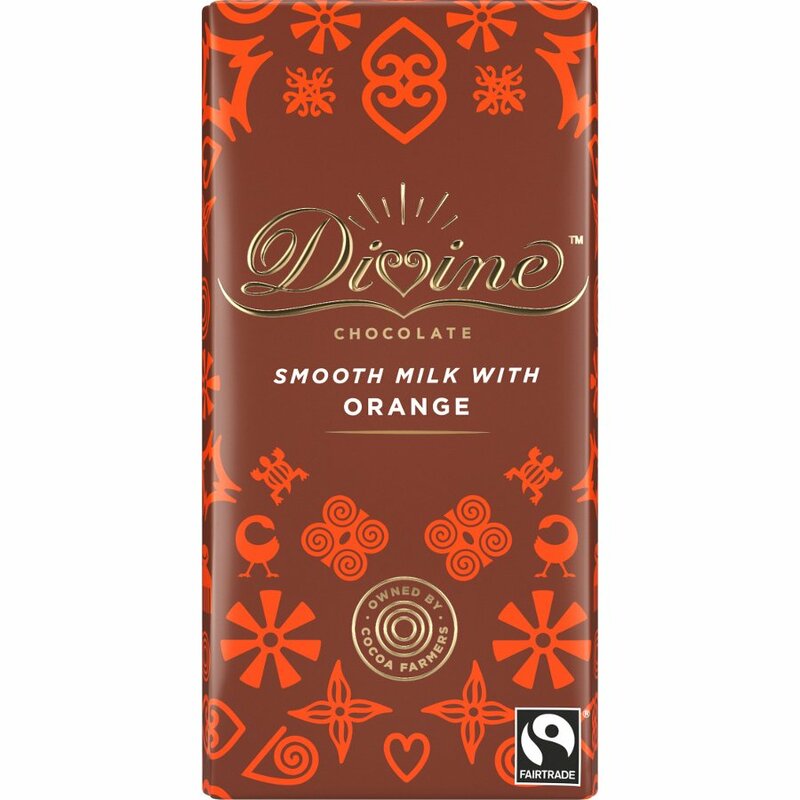 Free from artificial flavourings, colourings and preservatives. 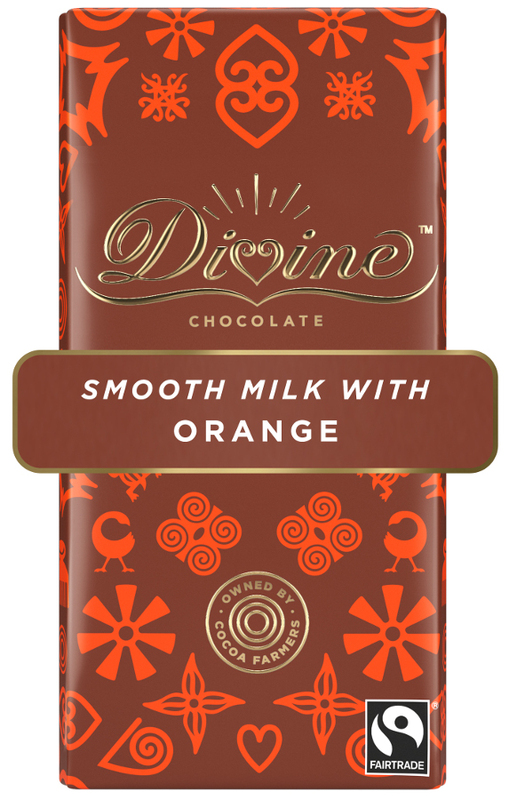 There are currently no questions to display about Divine Orange Milk Chocolate.